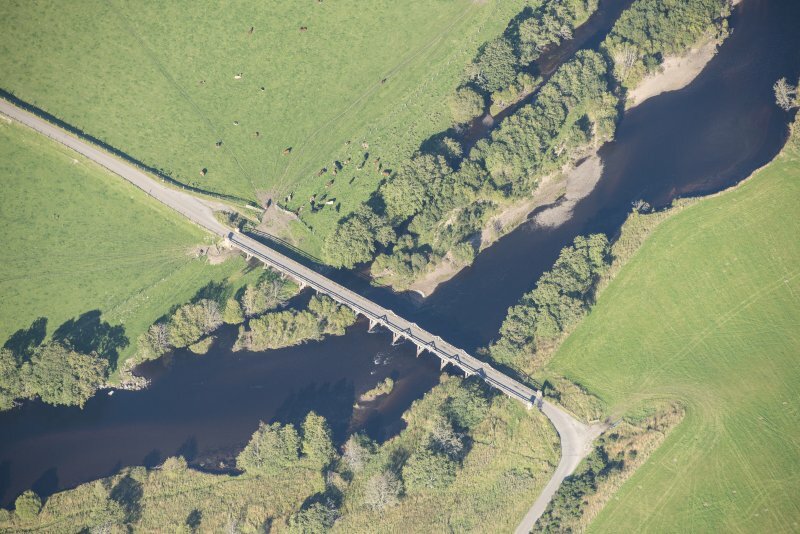 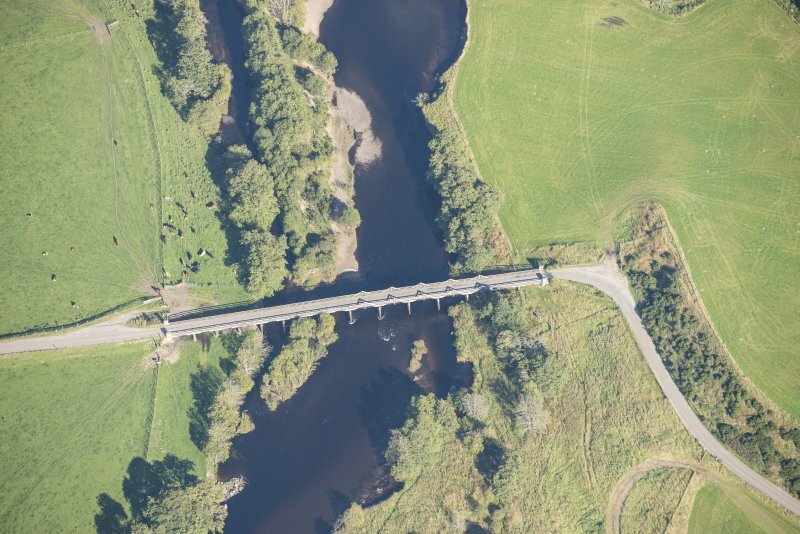 Oblique aerial view of Broomhill Bridge, looking ENE. 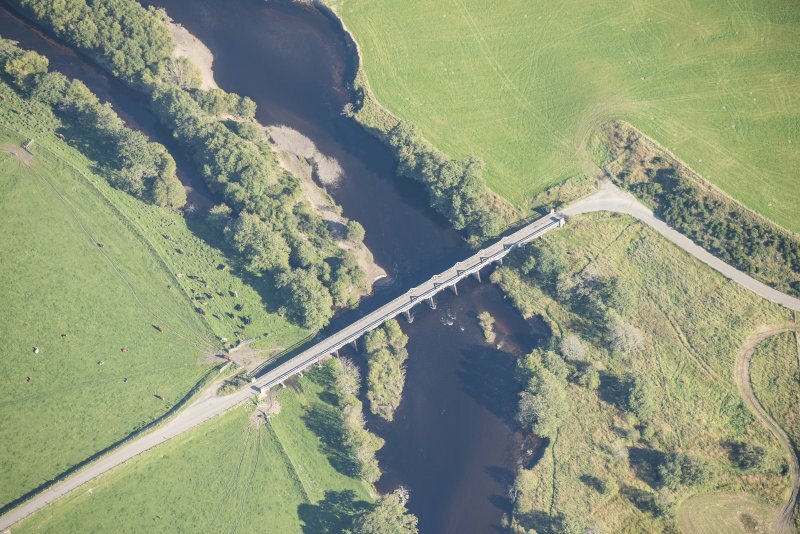 Oblique aerial view of Broomhill Bridge, looking NE. 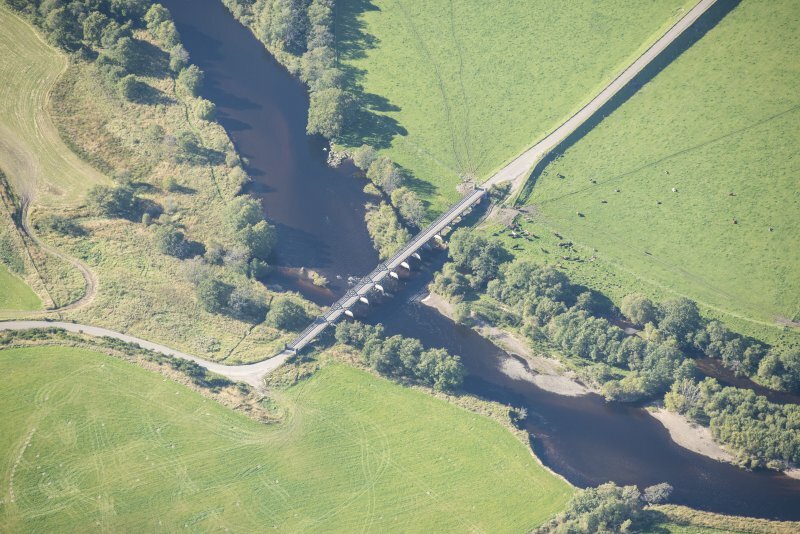 Oblique aerial view of Broomhill Bridge, looking W.
Oblique aerial view of Broomhill Bridge, looking E.
Bridge also lies within the parish of Abernethy and Kincardine. 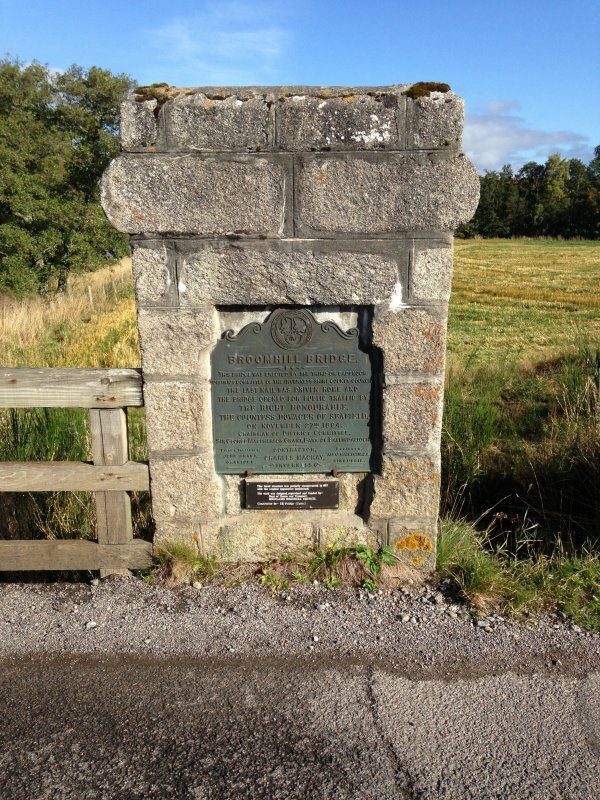 (Location cited as NH 997 223). 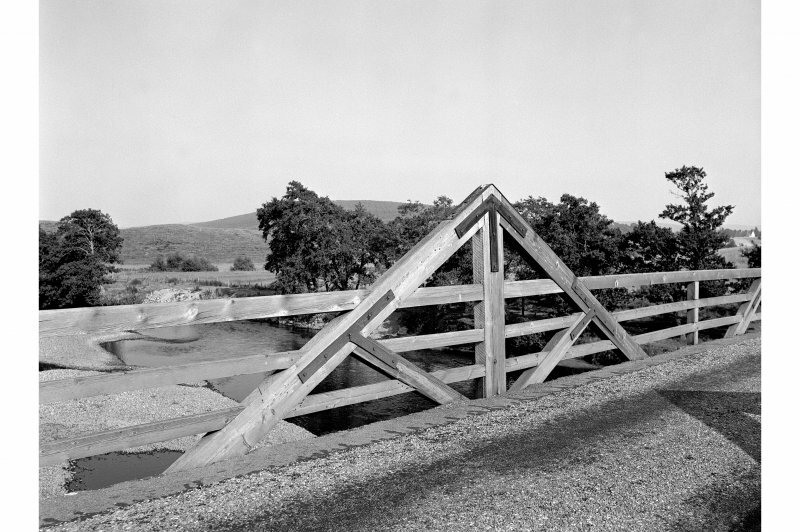 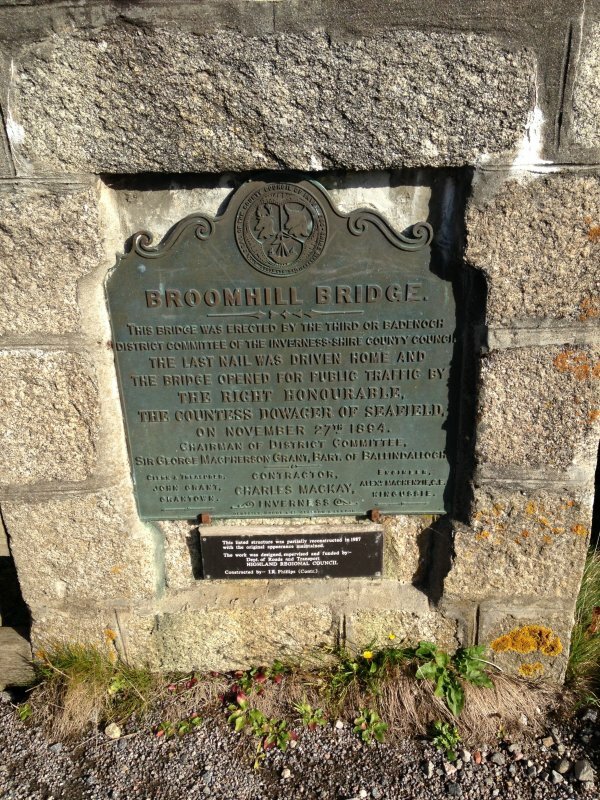 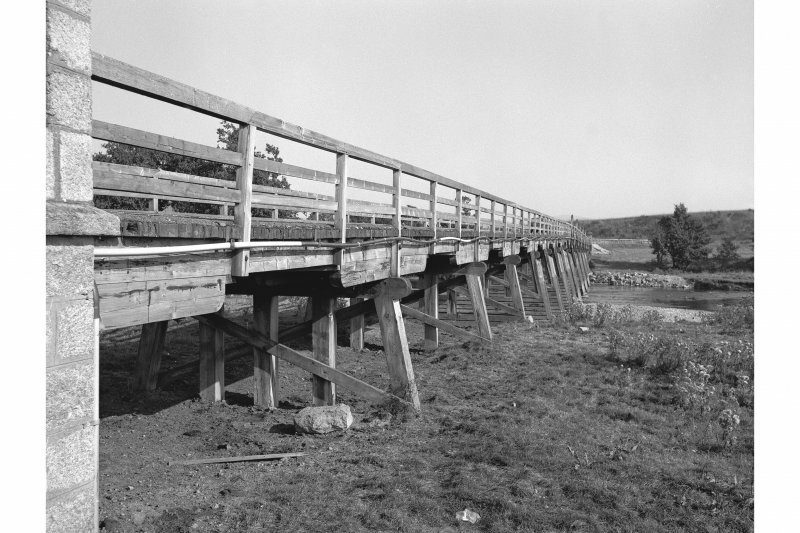 Wooden bridge, Broomhill, built 1894 by engineer John Mackenzie. 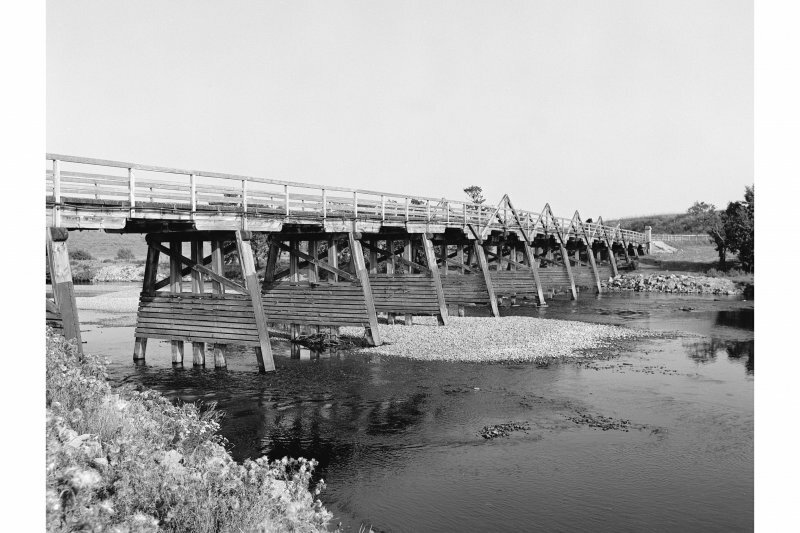 A magnificent 15-span structure with trestle piers. 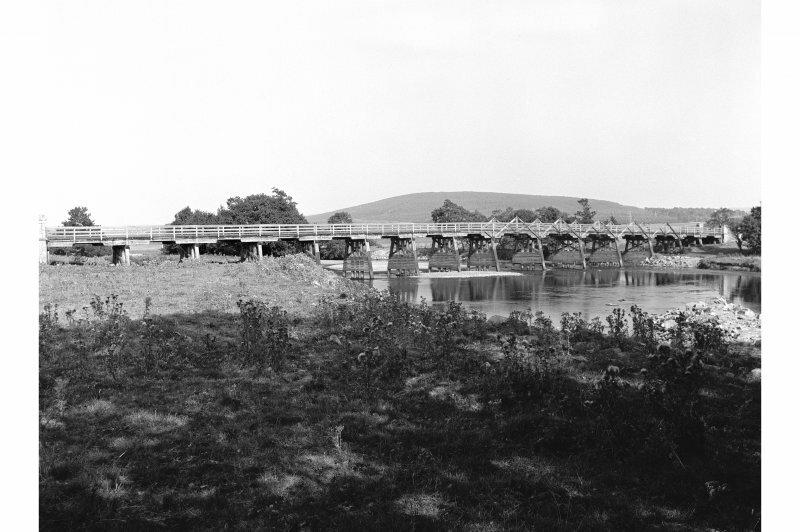 The five spans over the main river channel have triangulated trusses with iron-strap reinforement. 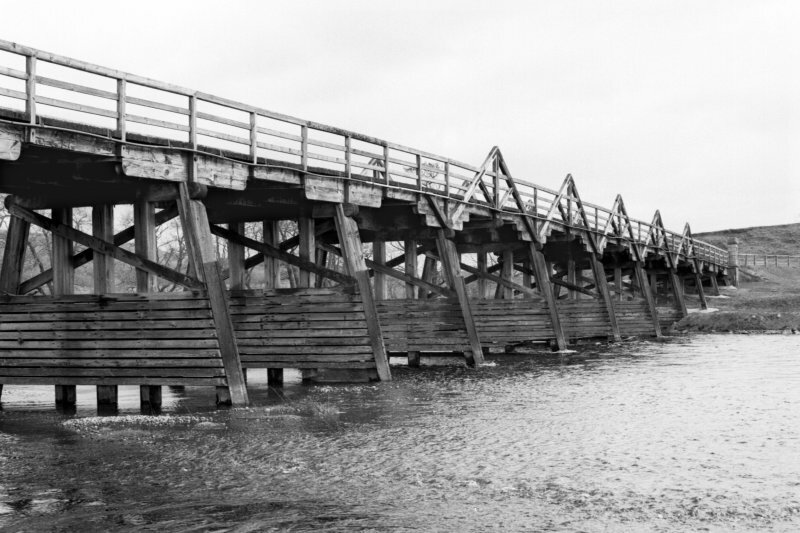 The finest wooden bridge surviving in Scotland. 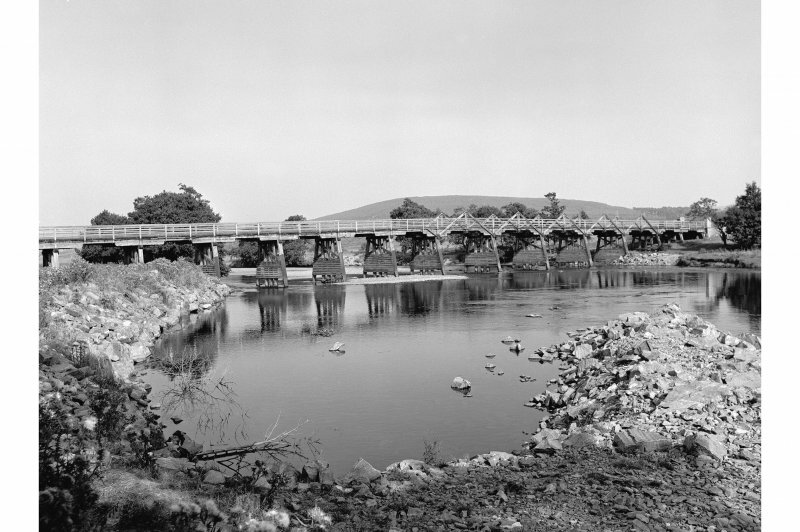 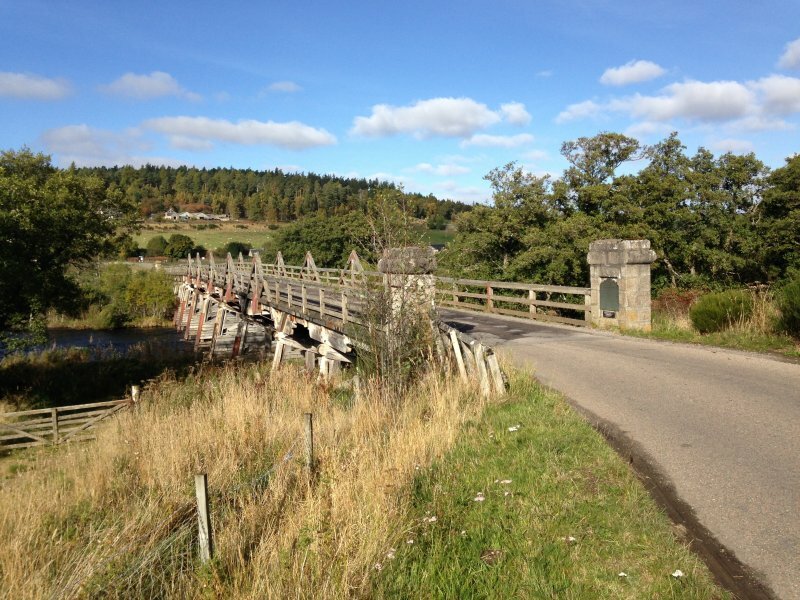 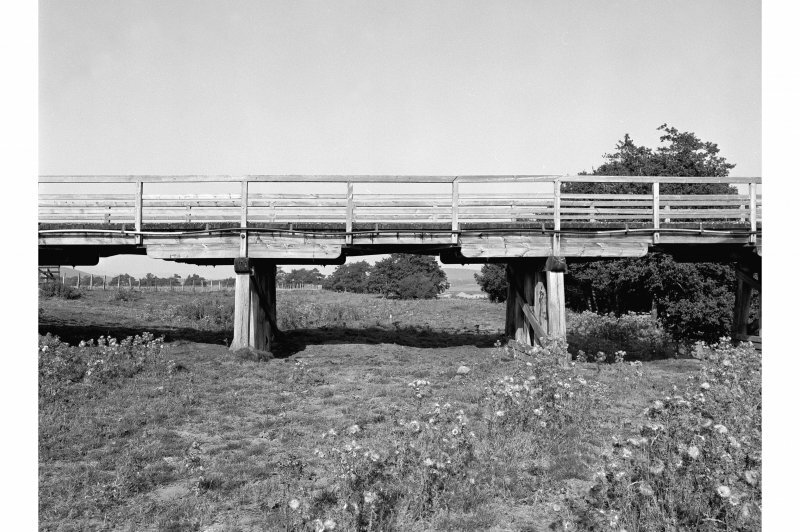 This bridge carries an unclassified public road across the River Spey, which here forms the boundary between the parishes of Duthil and Rothiemurchus (to the NW) and Abernethy and Kincardine (to the SE). 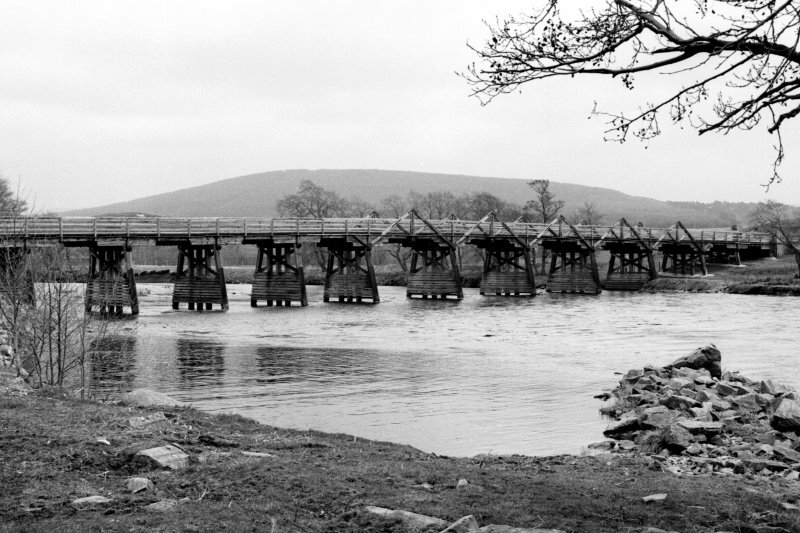 Information from RCAHMS (RJCM), 23 July 1997.